Get some cultural insight at Museu Calouste Gulbenkian and Jeronimos Monastery. Do your shopping at Avenida da Liberdade and A Outra Face da Lua. Get out of town with these interesting Lisbon side-trips: Sintra (Quinta da Regaleira, Park and National Palace of Pena, & more). 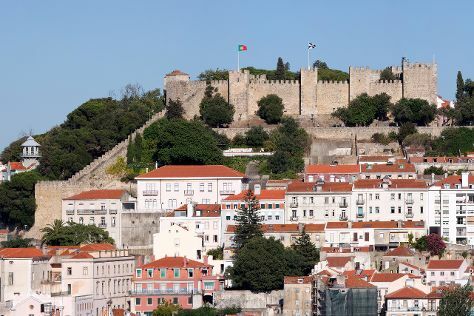 The adventure continues: wander the streets of Belém Tower, admire nature's wide array of creatures at Lisbon Oceanarium, explore the historical opulence of Castelo de S. Jorge, and take in the views from Ponte 25 de Abril. To see ratings, photos, other places to visit, and other tourist information, use the Lisbon road trip planning tool . London, UK to Lisbon is an approximately 5.5-hour flight. You can also do a combination of train and flight; or take a train. Plan for somewhat warmer temperatures traveling from London in September, with highs in Lisbon at 32°C and lows at 19°C. Wrap up your sightseeing on the 4th (Fri) to allow time to travel back home.